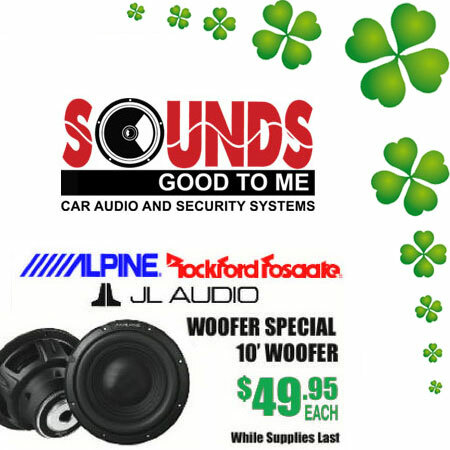 St. Patrick’s Day is almost upon us and Sounds Good To Me Car Audio Electronics in Tempe, Arizona, near Phoenix, AZ is ready to celebrate. March 17 means it’s time to color the city of Tempe, AZ green by saving you green in your wallet. Check it out….we have discounts on Kenwood, Alpine, JL Audio, JVC, Rockford, Fosgate and more during our St. Patrick’s Day Sale in Tempe, Arizona. Looking for a Sound Special this St. Patrick’s Day? 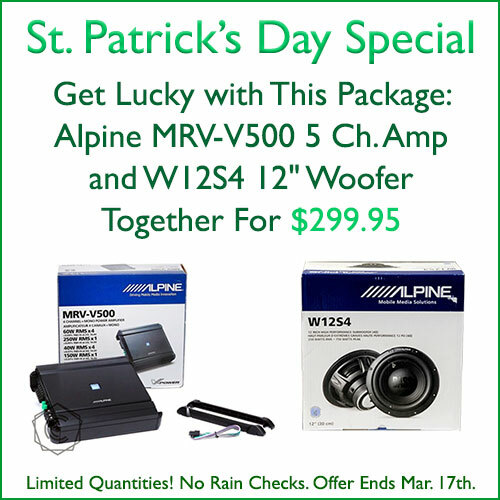 Get lucky with this package: Get an Alpine V-Power MRV-V500 5 Channel Amp AND an Alpine W12S4 12″ Woofer together for $299.95 at Sounds Good To Me in Tempe, AZ. 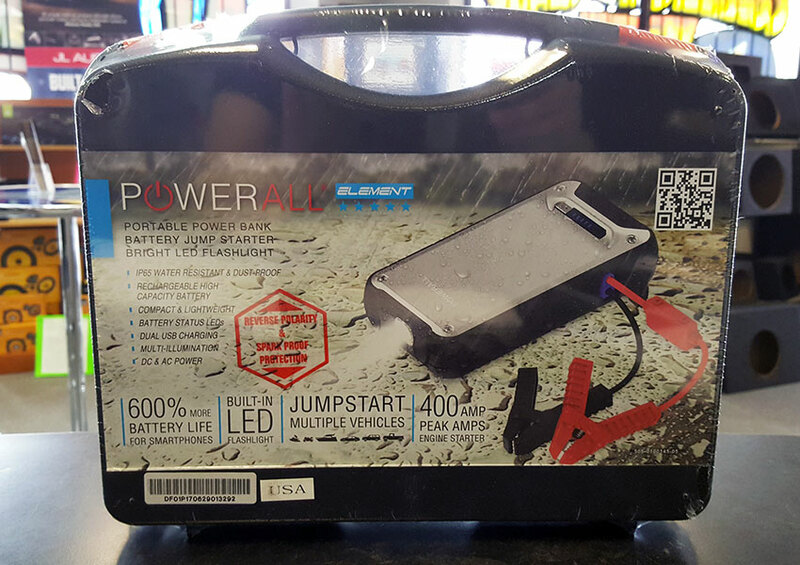 Limited quantities, and no rain checks. Offer expires March 17, 2019. 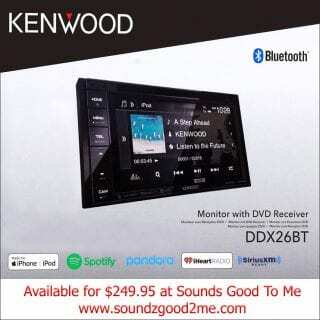 Feel the boom with this Woofers special. 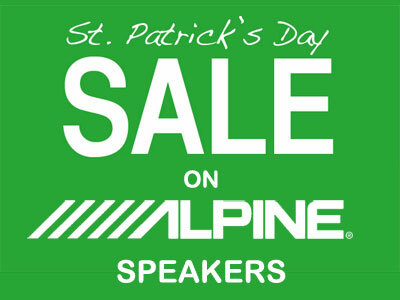 ALPINE JL AUDIO & ROCKFORD FOSGATE 10” WOOFERS are available now – March 17th starting at $49.95 each. Don’t miss out on our St. Patrick’s Day Specials. With cost competitive prices that will save you money, you’ll think you have arrived at the gold pot at the end of the rainbow at Sound’s Good to Me car audio electronics on Hardy and Broadway in Tempe, near Phoenix. 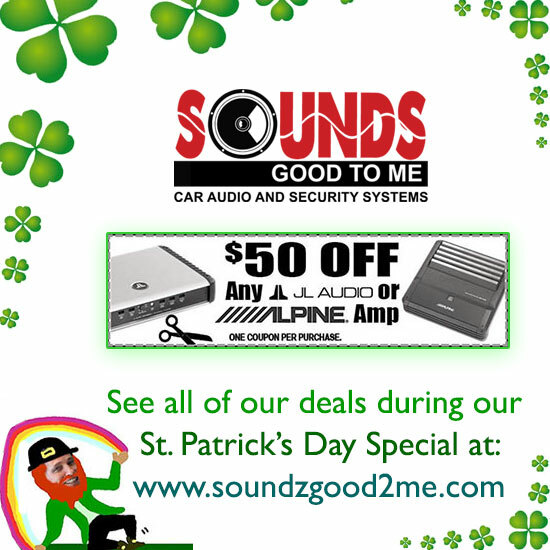 Our St. Patricks’ Day Sale in Tempe Arizona will be on-going now thru St. Patty’s day, March 17, so let’s make St. Pattys Day special with these incredible deals at Sounds Good To Me.